The man was discovered on the Ranelagh Road by the Luas stop. GARDAÍ IN DUBLIN are investigating after the discovery of the body of a man in Ranelagh in the early hours this morning. 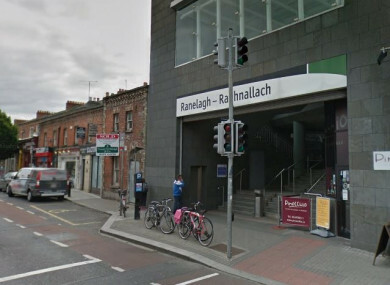 The 22-year-old was found unresponsive at around 4.40am with a head injury outside the Luas stop on the Ranelagh Road, south of the city centre. He was taken to St James’s Hospital, where he was pronounced dead on arrival. The scene has been preserved for technical examination and the coroner has been notified. Gardaí said they would investigate all circumstances into the man’s death, and that a review of local CCTV and the results of a post-mortem examination would determine the course of its investigation. They said they had no further information at this time, but updates will follow. Email “Investigation into death of man (22) found with head injury at Luas stop”. Feedback on “Investigation into death of man (22) found with head injury at Luas stop”.